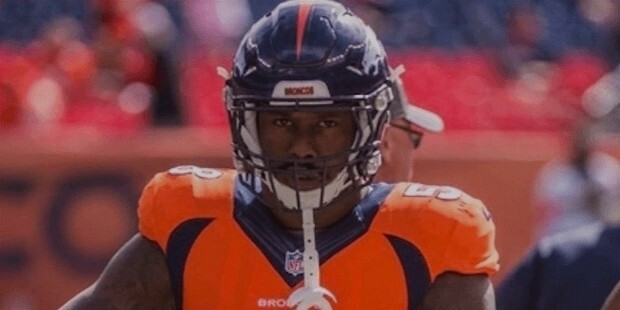 Vonnie B'Vsean Miller Jr., born on March 26, 1989, is an American football outside linebacker for the Denver Broncos of the National Football League (NFL). 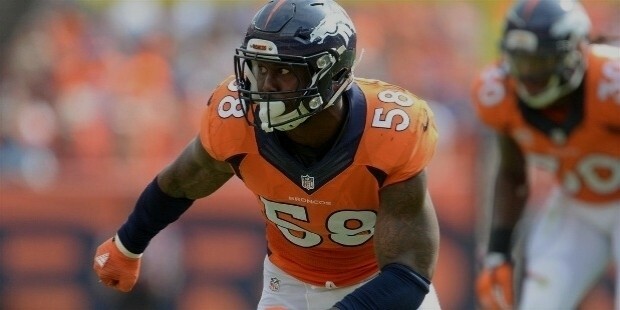 After being drafted in by Denver Broncos in 2011, he quickly emerged as one of NFL's most dominant defensive players with thirty sacks in his first two seasons itself. He was named the most valuable player (MVP) at the end of the 2015 NFL season where Broncos defeated the Carolina Panthers in Super Bowl 50. 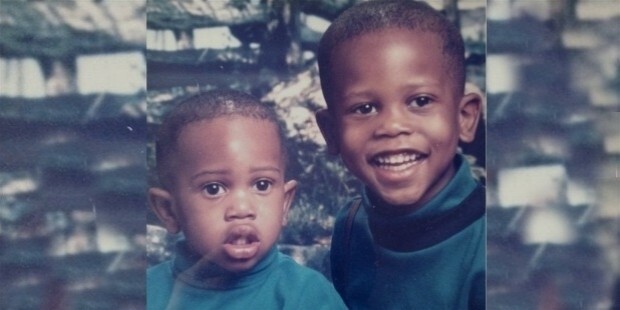 As a child, Miller attended DeSoto High School in DeSoto, Texas and he used to play for the DeSoto Eagles high school football team. He also used to run track there. He scored 37 tackles, 14 tackles for loss, seven sacks and 12 quarterback hurries in his junior year. In track & field, Miller competed in events such as 110m hurdle (PR of 14.38 s), triple jump (PR of 12.65 m) and javelin throw (PR of 37.24 m). 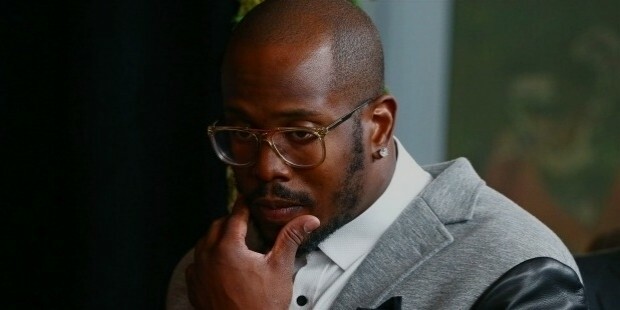 Miller went to DeSoto High School in DeSoto, Texas and later on, he attended Texas A&M University where he played for Texas A&M Aggies football team from the year 2007 to 2010. Miller has a major in poultry science at Texas A&M University. He was considered a four-start recruit by Rivals.com and was listed as the no.15 weakside defensive end in the nation in 2007. Miller opted for A&M over offers from Florida, Ole Miss, Oklahoma, and Texas Tech. After coming pretty close to getting picked in the 2010 NFL draft, he entered the 2011 NFL Draft, and by then he was regarded as one of the best 3-4 outside linebackers available. He was touted to be a top 5 pick by notable draft evaluators. At the 2011 Senior Bowl, Miller was the Defensive MVP. In March 2011, he was selected to represent top-flight rookies in the NFL Labor Union Talks. He was drafted by the Denver Broncos second overall in the 2011 NFL Draft. He was the highest selected linebacker. 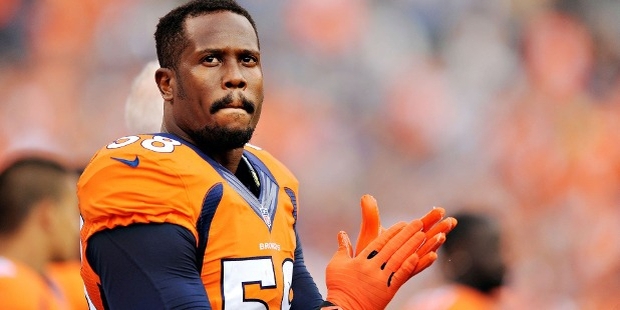 He officially signed with the Denver Broncos on July 28, 2011. Miller wears no. 58 in honor of his favorite football player and Hall of Fame linebacker Derrick Thomas. On September 17, 2015, he became the third-fastest player in NFL history to reach 50 career sacks(58 games). Miller was born in Dallas, Texas, to parents Von and Gloria Miller. His parents were athletes in their high school and college, and they own a power supply business. He has a younger brother named Vinsynzie. In August 2013, he was arrested on a failing to appear warrant for driving-related charges in October 2012. In September 2013, Miller was cited for speeding and driving with a suspended driving license in Arapahoe County, Colorado. 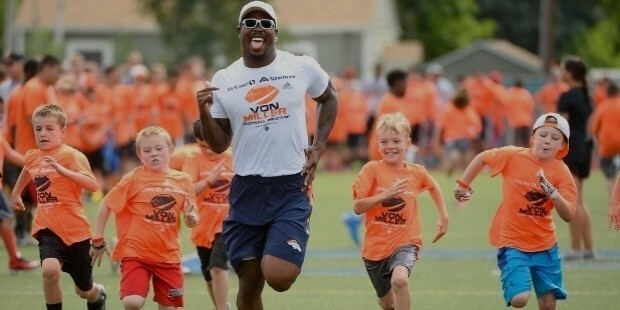 In 2012, Miller created Von's Vision to provide the youth of Denver with eye examination and eyewear.